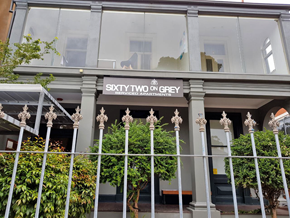 Sixty Two on Grey offers 3.5 Star Boutique accommodation in one of Melbourne's most liveliest beachside suburb's of St Kilda. 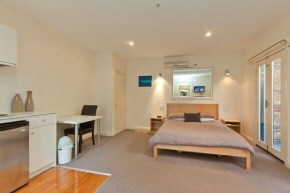 Whether you are here in Melbourne for a holiday or Business Trip, you will enjoy the comforts and privacy of your "Home away from Home". Located only 5 kms from the Melbourne CBD and minutes from the business hub of St Kilda Road, St Kilda is situated in the picturesque Port Phillip Bay. 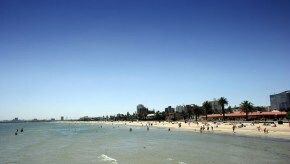 Beautiful sandy beaches and historical buildings make St Kilda a very popular seaside place for all ages. Built in the 1860's, this beautiful Georgian Home still preserves the original design and character of a well built Mansion and extensive modernisation has been carried out internally and at the rear of the building. Each of the twelve serviced apartments have been designed to offer a unique range of individual styles which preserve the historic character and warmth of this 140 year old residence. Characteristics of the building such as high ceilings and marble fireplaces generate a level of warmth and comfort to the building. 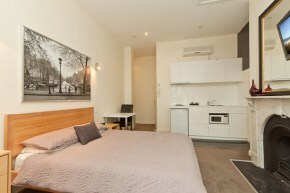 We have three different types of apartments to suit everyone's budget starting from the Budget Room to the larger Studio Room.